Unbraked beds can cause falls, so the unique i-brake feature will automatically activate the brakes one minute after the bed is plugged into the electricity. 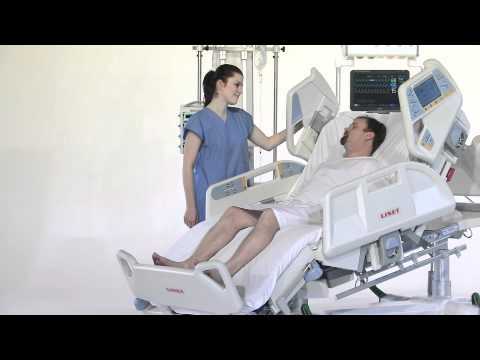 The Multicare CCU bed is an ideal solution for the demanding critical care environment. It helps to maintain the vital signs and enables the patient to be treated safely with minimal effort from the staff. Automatic Lateral Therapy is a platform based lateral tilt which can be individually programmed in cycles to improve lung drainage, oxygenation and/or atelectasis. To avoid falls due to an unbraked bed, the unique i-brake feature automatically activates the brakes. 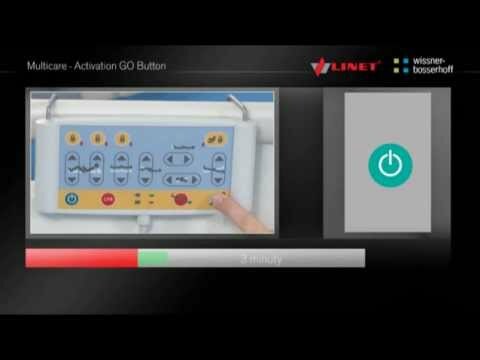 The Multi Zone Bed Exit Alarm can be used to indicate patient movement from the bed. 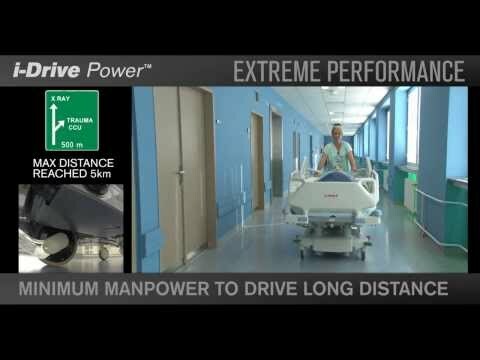 3 drive modes faciliate patient transport on short and long distances. Easy operation with only one hand. Undesired operation is prevented by the Safety Sense™ concept. The Orthopnoeic chair position helps to maximise respiratory function and enhances patient comfort. Bi-lateral tilting eases the regular re-positioning of the patient providing effective pressure relief. The Ergoframe® system extends the space in the pelvic area to reduce tissue compression. Additionally the constant low pressure or low air loss therapy system symbioso 200 can be integrated directly into multicare. The unique Mobi-Lift handles with bed height controls assist with the safer mobilisation and active involvement of the patient.